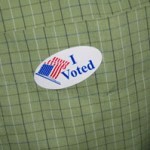 It’s Election Day today with federal, state and county partisan offices on the ballot. County Sheriff — This race is a rematch — with a twist — from 2018 when incumbent David Beth faced a challenge from David Zoerner in the Republican primary. This time around Zoerner is running as a Democrat. Paris residents will vote on a referendum asking if the office of town clerk/treasurer should become appointed rather than elected. 61st Assembly District — Incumbent state Rep. Samantha Kerkman (R-Salem) is being challenged by Gina Walkington (D-Bristol). Most of Western Kenosha County (except for Wheatland) is in the 61st. 21st State Senate District — Incumbent Van Wanggaard (R-Racine) is being challenged by Lori Hawkins (D-Bristol). Most of Western Kenosha County (except for Wheatland) is in the 21st. 32nd Assembly District — Incumbent state Rep. Tyler August (r) is being challenged by Katherine Gaulke (D). Wheatland is in the 32nd District. A county wide referendum on whether medical marijuana use should be legalized. A county wide referendum on closing the dark stores loophole. Voters can also cast ballots in the races for state constitutional offices including governor and lieutenant governor and for Congress and U.S Senate. Polls throughout Kenosha County are open from 7 a.m. to 8 p.m.
Voting for this election in Twin Lakes will be at Lakewood School for all wards. 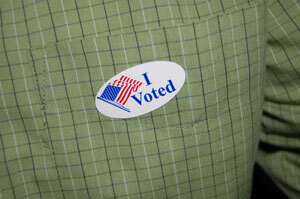 All three Salem Lakes polling places will be operating. Here is a list of polling places.